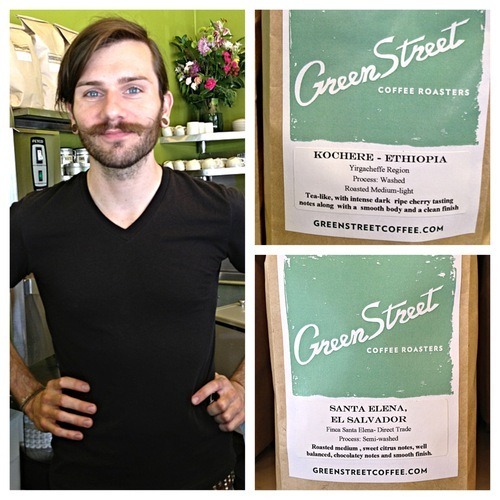 Inside Greenstreet: Which Coffee, and Why? Many of you have probably heard the phrase, “People are creatures of habit.” There’s truth to that. There are certain places and things we always return to once we decide we like them. This also applies to coffee bars. We all have at least once place in mind when we need our caffeine kicks. Maybe it’s the beverage itself, or it could be atmosphere. But have you given any thought to the people who work there? You interact with them whenever you buy coffee, but do you know anything about them? We get it. You don’t always have time to make conversation, and sometimes you’re just not in the mood. There’s nothing wrong with that. To be safe, we’ll air on the side of convenience for those who are more curious than they appear. 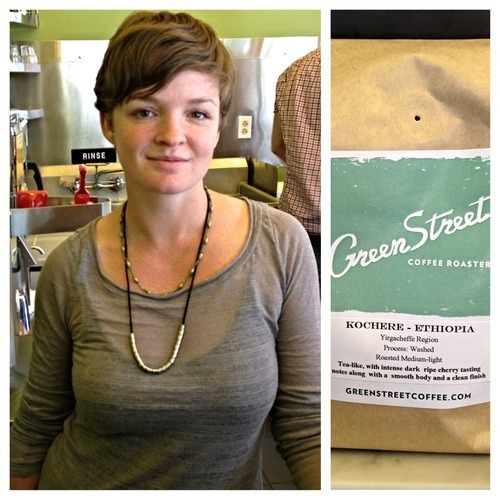 Greenstreet Coffee Roasters is beginning a series of blog posts about its employees. You will learn something new every time, and hopefully, coffee will no longer be your sole reason for visiting. If our answers spark more questions, feel free to ask on Facebook or Twitter. We’ll be more than happy to respond. Why do you like coffee? I love coffee because of its diversity; there are so many different flavors. It keeps you on your toes because there’s always something new to try. It changes every year because it’s a seasonal, agricultural product. It’s always different. Coffee changes with the weather, so you have to stay on top of it. It tastes great, and gives you a boost. 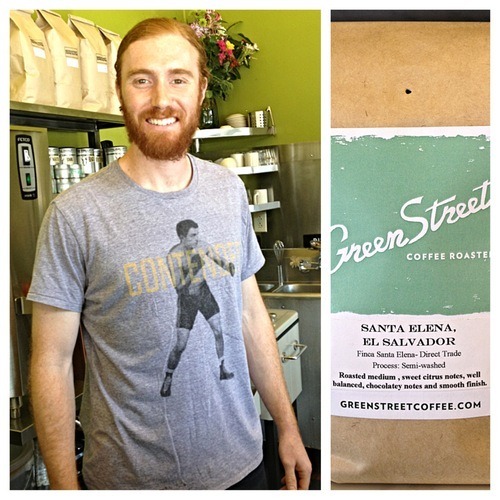 What’s your favorite Greenstreet coffee? Describe its scent and taste. 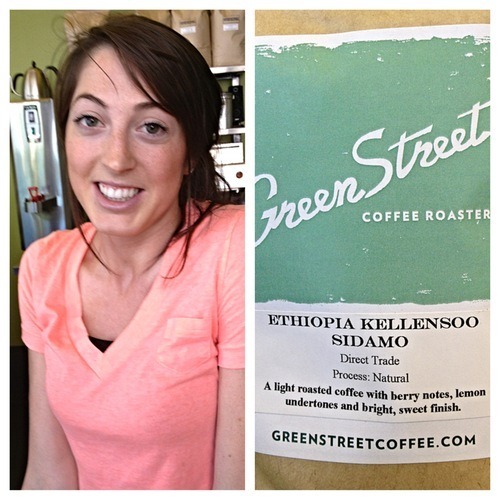 That answer changes depending on the coffees we have, but I would say that right now my favorite is the Ethiopian Kochere. It has so many complexities, yet the body is delicate. In a way, you can call it the “coffee person’s coffee.” If you drink a lot of coffee, you notice more nuances than people who only drink a cup a day. 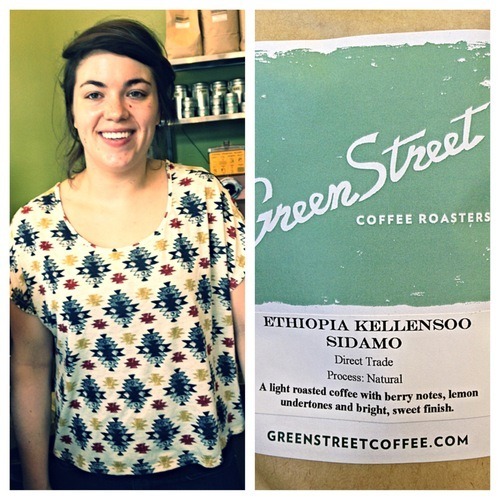 The Ethiopian Kochere is light, palatable, and refreshing. It tastes like Earl Grey tea with a little bit of lemon, and a little bit of dried red fruit. As one of the customers described the other day, it’s kind of like a coffee-tea. I would say it smells like dried strawberries. The smell also reminds me of Earl Grey because of the bergamot. I enjoy coffee because it’s flavorful, all-natural, and an enjoyable beverage for getting a kick-start for the day. Right now, the Columbian Granja La Esperanza. It’s a very full-bodied, medium-roasted coffee with floral notes. It’s sweet with mild acidity. It’s like a ritual for me; it signifies the beginning of a new day. I’m obsessed with the Ethiopian Kochere to the point where I have to make myself not drink it so I can try other things. It’s the first time I’ve ever had a refreshing coffee. It’s really tea-like, and inspiring. I enjoy it. It doesn’t really smell or taste like any other coffee. It reminds me of an Earl Grey tea with that warming, cinnamon-coffee feel. Because it stimulates me; I like the caffeine. 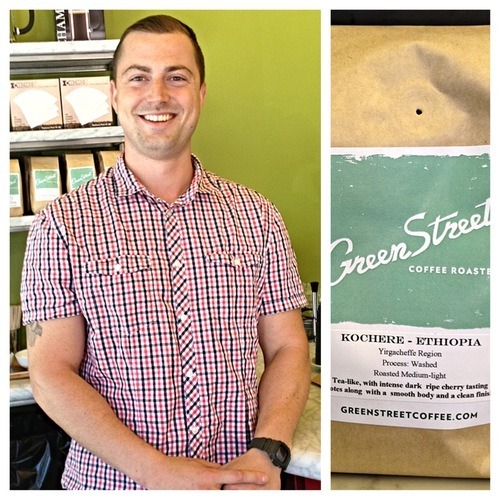 Right now I like the Santa Elena coffee from El Salvador, and the Ethiopian Kochere for different reasons. The Kochere is bright, and floral with a bit of citrus. It has a light tea body. I like that over ice. The El Salvador is thick and rich with a silky body. It has a nice, nutty, sweet finish. I grew up on it. Mainly because of my mom. She always had coffee every morning. She never finished it so I would drink the last couple sips. Then I started having my own coffee. So far, my favorite is the Santa Elena from El Salvador. It’s still hard for me to pick apart the scent and taste differences. 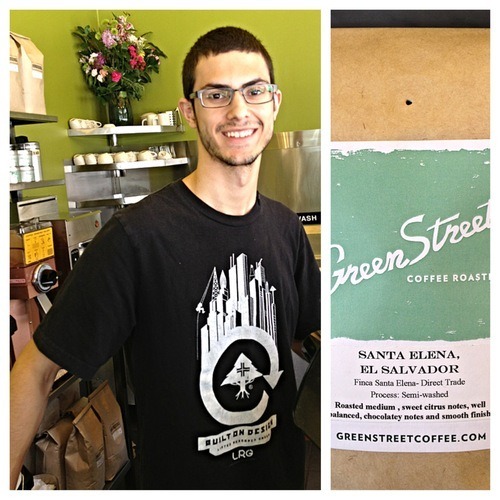 All of the scents and tastes are similar to me, but there’s something about the Santa Elena that stands out. I like it a lot. Coffee is like beer; there are so many different kinds. Some are hoppy, and then there are the cheaper ones like PBR and Budweiser. Coffee is like that too. You can drink Folgers, but then you notice a big difference when you drink a really good cup of coffee. You can taste all kinds of things which make it so complex, like a good glass of beer. I also like the energy. The Ethiopian Kellensoo. 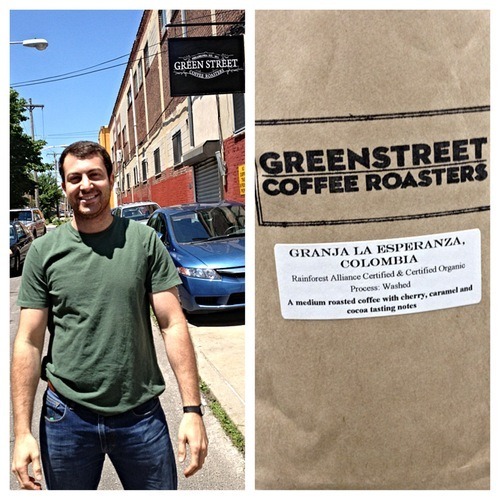 It was the first time I was able to taste something other than standard coffee flavors. I could actually taste the blueberry; I didn’t know you could taste fruit in coffee. It was the coolest thing ever. My favorite coffee that we have is the El Salvador Santa Elena because of its complexity, and because it has an amazing balance between the citric sweetness and velvety body. I think the aroma also has that orange-citric smell, and that’s why I like it. I like coffee because it wakes me up in the morning, and it’s very social. A lot of people like coffee, so they come together to talk about it which is pretty awesome. There are also so many different varieties to pick from. 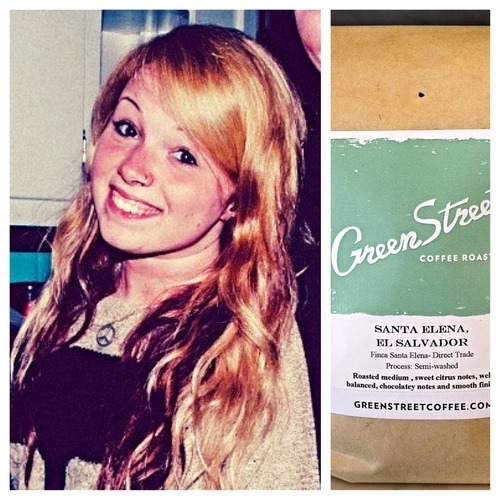 Right now, I’d go with the Santa Elena from El Salvador. It’s pretty delicious. There are chocolaty, nutty notes, but it doesn’t taste too earthy. I think that’s our best one right now. Because it’s what makes the world go round (laughs), it gets you up in the morning. It’s a good way to start and finish the day. My favorite is the Kellensoo because you can smell the blueberry. It’s a little fruity, and it has that smooth taste at the end.